Dr. William C. Swindle “Bill”, 91, of Stephenville, passed away Monday, July 13, 2015. Funeral Services will be held at 10:00 am Saturday, July 18, 2015 at the Stephenville Funeral Home Chapel. Interment will follow at the West End Cemetery in Stephenville. The family will receive friends Friday from 6:00 pm until 9:00 pm at the funeral home. Bill was born June 10, 1924 near Liberty Hill in Williamson County, Texas to the late Cason B. and Effie Pearl Roberts Swindle. At age 18 months the family moved to Tuscola, Texas in Taylor County 15 miles south of Abilene, Texas. Bill attended schools in Tuscola and Cedar Gap and graduated from Tuscola High School in 1943. Bill joined the U.S. Navy Sea-Bees in 1943 and had Marine training at Camp Perry, VA. During his Navy career he was sent to the Bureau of Supplies and Accounts as a Second Class Petty Officer in Cleveland, Ohio. He met the love of his life, Mildred Drahos, while stationed in Cleveland. They were married July 27, 1946 in Bryan, Texas. In January 1951 Bill obtained a B.S. Degree in Agriculture and U.S. Army Commission as a Second Lt. in Armored Cavalry. He retired as a Field Grade Army Officer in 1969. He received his Master’s Degree in 1954 and his Ph.D. 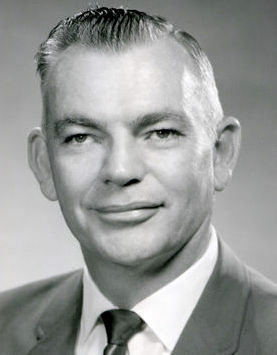 Degree in 1968. All of his Degrees were from Texas A&M University. Bill taught WWII veterans in Jones County, TX, Vocational Agriculture in Duncanville, TX for 3 years and worked for the Soil Conservation Service in Runnels, Hall, and Jones Counties in Texas. After receiving his Doctorate in 1968 he and his family moved to Americus, GA where he supervised student teachers and taught psychology and science courses for Georgia Southwestern College for two years. He and his family moved to Stephenville, TX in 1970. He taught several Graduate Education courses, supervised student teachers and taught psychology for Tarleton State University. He retired in 1984 and has been active in many community affairs including Crime Stoppers as the first president. He was involved on the Senior Citizens Board. He was a member of several Western String Bands, playing guitar and harmonica, and singing for 16 different community centers and several nursing homes. He also served as an Income Tax Aide for AARP for the Stephenville Library. He was preceded by his wife, Mildred Drahos Swindle in June 2014; a sister, Pearl Dickson; and a brother, Ted Swindle. 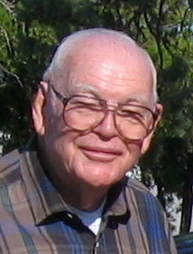 He is survived by two sons, Dale Swindle of Stephenville, and Allan Swindle and wife Arlene of New Braunfels; grandsons, John Cason Swindle of Plano and Chris Swindle of Las Vegas; great-grandson, Chase Pardee of Lawrence, KS; sisters, Geneva Attaway of Elwood, IL, and Virginia Frierson of Garland; and a brother, Ed Swindle of Killeen. In lieu of flowers, the family requests that memorials be sent to the Texas A&M Foundation, 401 George Bush Drive, College Station, TX 77840. Please designate the Dr. William C. Swindle '50 and Mildred "Millie" Swindle Scholarship in the memo line of the check.